Like most parents, I struggle with “device time.” Is an hour on the IPAD too much? Will the prolonged time spent staring at a lit screen cause eye strain, interrupt sleep patterns, reduce social skills, take away from real family time, etc. As with anything in life, balance and moderation are key. Since the kids are on a device, maybe we can steer them toward an educational app. 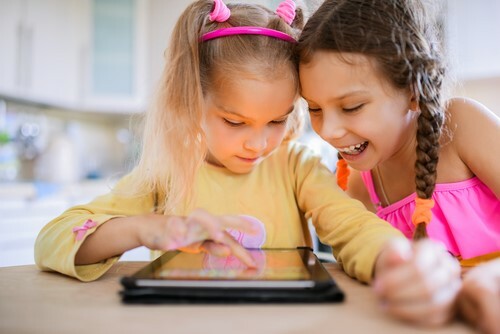 The American Occupational Therapy Association (AOTA) complied a list of some favorite Apps used by School Based OT Practitioners (link to full article cited here provided below). OT’s have long used specialized computers and tablets as assistive technology devices to help children access and interact within their environment. A few of the many uses for these devices were to help children with tasks like speaking/communicating, moving around in their wheelchairs, and typing school work. Today, there are Apps available for all children to benefit. Let’s take a closer look at some of these. Dexteria and Dexteria Jr. are two wonderful apps, which are geared toward improving fine motor skills, eye hand coordination and handwriting. Rush Hour is another App that is utilized to help children improve their visual perceptual skills. Children are required to use ocular motor abilities, such as scanning, tracking and memory. One of my all time favorite websites, eyecanlearn.com, seeks to improve many significant areas of visual and perceptual skills. Many of the “games” on this website are the very foundational skills needed for reading, writing, and overall academic success. There are many handwriting Apps available. Wet-Dry-Try is recommended by OTs because it allows children to practice prewriting lines and letter formation on a tablet. Some of our children need help with transitions due to anxiety, lack of communication, or behavior. First Then Visual Schedule is a great tool to prepare children for what is expected and what is coming next. I also love Apps with child friendly visual timers, like Countdown. In summary, it looks like technology is here to stay. With some guidance our children can really benefit from using the correct Apps, which will build skills. Visit aota.org and take a look at the link below for a full listing of educational and therapeutic Apps. How School-Based OT Practitioners Use iPads and Tablets: Ten Apps to Try. AOTA, 2016. October 19, 2016. Several blogs ago we discussed sensory processing disorder. We described our various senses, particularly the lesser known vestibular, tactile, and proprioceptive senses. We also discussed common symptoms that may be present in children with sensory processing disorder. Now, lets take a look at some common treatment options for children. Many times, after an occupational therapist has evaluated and determined that a child does indeed have a sensory processing disorder, a “sensory diet” is created. A sensory diet is a schedule of very specific exercises or activities, which are performed daily to promote attention, organization, and to help calm or stimulate a child. The goal of a sensory diet is to achieve self-regulation. 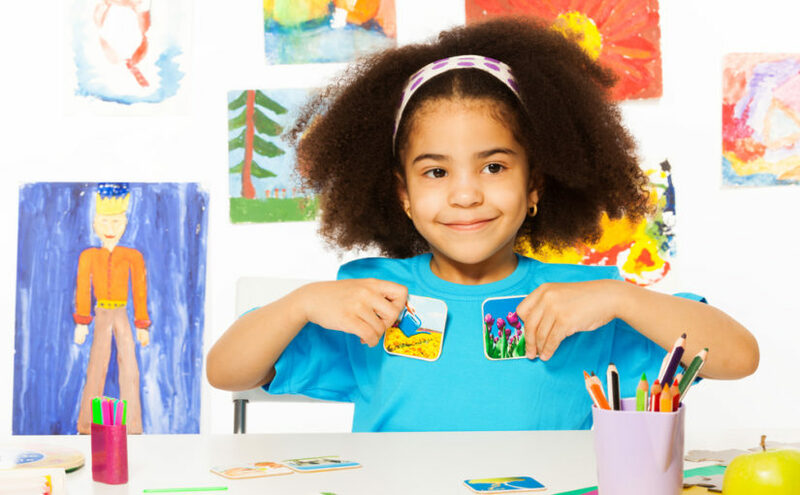 Self-regulation occurs when a child is able to monitor their behavior, and most importantly, CHANGE behavior based upon the demands of the task at hand. This is a very high level skill that many children will need assistance with. To make this goal attainable, I first like to teach children an age appropriate vocabulary to describe their sensory state. One of the most common methods OT’s use to teach sensory skills and vernacular is the Alert Program. The Alert Program likens sensory states to a speedometer on a car. If children are over-aroused, or “hyper” their engine is running too fast. Conversely, if the child is under-aroused, or inattentive their engine is running too slow. Of course, if a child is attentive and focused then their engine is just right. By giving children the ability to identify their sensory state, we give them the ability to change their sensory state in an effective and socially acceptable method. This is where the diet comes into play. An OT will carefully select exercises and activities to help change a child’s sensory state to a more desirable range. Exercises will have the right frequency, intensity, and duration to change behavior. It is really a win-win situation when parents, teachers, and caretakers teach children to regulate on their own. Check back soon for more sensory strategies. Stensaas A. & Calder, T. (2008), Sensory Diet Fun Sheet, Greenville, South Carolina. When school is back in session and students transition to a new classroom, with unfamiliar faces and routines we see an uptick in the number of occupational therapy referrals. This is true in both school referrals and clinic referrals. Family schedules quickly get jammed with after school activities. Often time one parent shuttles one child and the other parent shuttles a sibling somewhere else. As a parent and therapist, I understand very well that our lives are very full. So, how do I manage to get parents involved in their child’s therapy sessions? And, why do I want parents involved in treatment sessions? Typically, therapy sessions for children are 30-45 minutes in duration. The frequency may range from one time to two times per week. If my math is correct, each week has 168 hours, although sometimes the week feels like it has much less. This means I spend, on average, one hour per week with my clinic children. I focus on each and every goal during my sessions. The child gives me 100 hundred percent. Then they leave and have the balance of 167 hours left outside of therapy. We want to see progress. Generally, most want progress sooner rather than later. I tend to combat this issue, by inviting parents into every therapy session, even if it is for the last 5 minutes. I run through the daily activities the child completed. Most importantly, I give a related home program to be completed daily by the child and parent. This mini parent-child co-treatment session is key to achieving my therapy goals with each child. 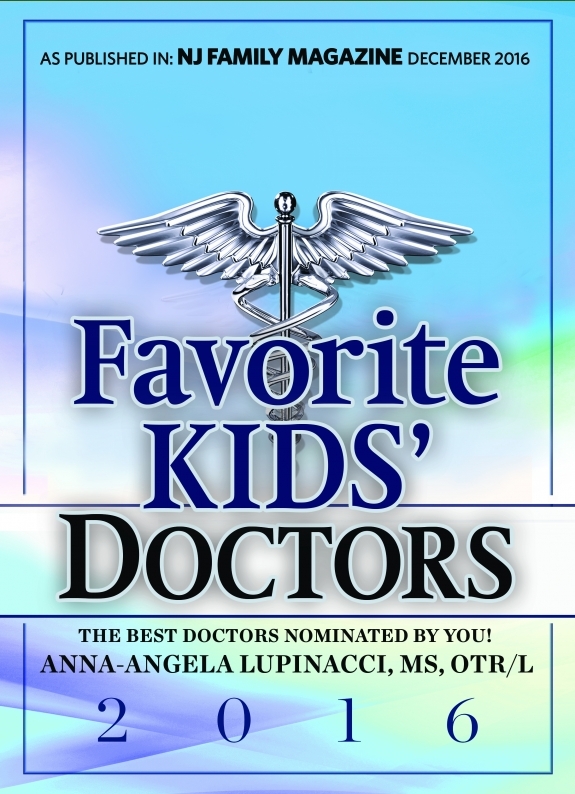 Parents receive much valuable information regarding their child’s diagnosis and methods to help. It’s a win-win situation for all parities. Recently, I came across a research article that substantiated home programs in a profound way. Scientists investigated whether a relationship existed between parent-child attachment and sensory modulation (see last blog on sensory processing disorder). As predicted, a relationship does exist between the two Let me share an example. A newborn, with sensory issues, may cry and arch their body when cuddled. A new parent may become less confident in their caregiving ability. This puts the attachment relationship at risk. Maybe the parent will offer less contact because of the infant’s feedback. A negative cycle could potentially start at this point (Pineda et al, 2015). As a clinician, this drives home the point of parent co-treatment and education. It is my role to inform the parent that their caretaking efforts are on point and needed, but just slightly modified to suit their child’s particular sensory state. Center for Children’s Therapy parents don’t forget to look in your child’s therapy folder for tonight’s therapeutic activity. Maybe I gave you a specific exercise to strengthen a muscle group or to enhance a sensory diet. Perhaps you will find worksheets with vision exercises or writing or cutting tasks. Most importantly, have fun while practicing your child’s occupational therapy goals at home. I can’t wait to see the progress in sessions. Pineda, R. et al, (2015). Correlational Research to Examine the Relation Between Attachment and Sensory Modulation in Young Children. American Journal of Occupational Therapy, 69 2-8. One of the most common referrals for occupational therapy is “messy handwriting.” Teachers will often report this concern to parents and child study teams. Teachers and parents alike will have children complete handwriting books, worksheets, redo messy assignments, give constant reminders to write neatly, type assignments, etc. etc. So is poor handwriting something a parent needs to be worried about? Should it be addressed with an evaluation and intervention? Let’s discuss. OT’s look at handwriting with a unique set of eyes. We breakdown the skill into small components. Handwriting is a by-product of well-developed fine motor skills and visual perceptual skills. Fine motor skills refer to the efficient use of small muscles within the hand. We first assess the anatomical structures, range of motion and strength of the upper extremity. 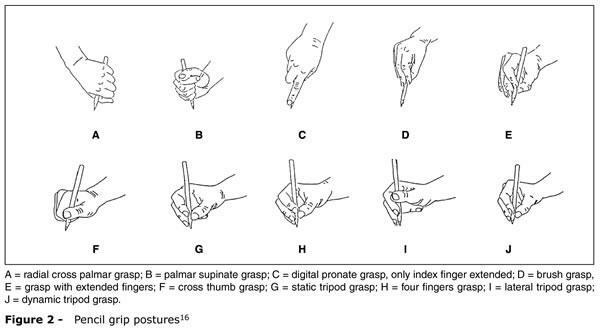 Special attention is paid to movement patterns like reach, grasp, release, in-hand manipulation skills (moving a coin from the finger tips to the palm without dropping), pencil grip and using both hands together to perform functional tasks. I ALWAYS check the visual system. This is often overlooked in many OT assessments and is absolutely vital. An intact ocular motor system is needed for legible handwriting and overall academic success. Again, we begin with the anatomical structures of the eyes, acuity, eye muscle movements and then move on to more complex functions like perception and processing skills. Only after I gathered all the information on fine motor and ocular motor status, do I ask a child to actually write for me. I prefer to use standardized assessments with age norms. This tells me valuable information regarding the child’s ability to copy, write and draw figures and words when compared to his/her same aged peers. An informative picture of various pencil grips which may, or may not impact handwriting. What is Sensory processing disorder ? Sensory Integration, sensory dysfunction, sensory “issues”, sensory processing disorder. We frequently hear these words, but do we know what they actually mean? What does a child (or adult) with sensory integrative dysfunction or sensory processing disorder look like? By definition sensory integration is the process of organizing sensory information in the brain to make an adaptive response (Ayres, 1972). Let’s break down this definition. Everybody knows the five main senses: vision, hearing, taste, touch and smell. We also have some lesser-known senses that have an even bigger impact, called the vestibular, proprioceptive, and tactile. The vestibular system is housed in the tiniest bones of our bodies located in the inner ear. This system gives our body information regarding movement and direction of movement, required to maintain our balance and equilibrium. Have you ever experienced motion sickness after being on a boat or a roller coaster? The vestibular system is hard at work during these activities. Many common aliments, like fluid in our ear, ear infections, impact our vestibular systems. More on this later. The proprioceptive system, or prop system, allows the body to communicate with the brain about where the muscles and joints are in space. Our balance, equilibrium, and muscle tone will be impacted by our prop sense. Our body awareness comes from a well-developed prop sense. Have you hear the term a “bull in a china shop?” Some children (and adults) frequently bump into any and all objects because of an immaturely developed prop sense. Finally, the tactile sense gives our body and brain information regarding sensations such as touch, pain, and temperature. Problems in this sense arise when this system is too sensitive or not sensitive enough. Did you ever have a tag on the inside of your shirt that was so itchy you had to cut the tag off? This is an example of a hyper sensitive tactile system. Furthermore, our senses need to work together to help our bodies make correct responses. This is the process of sensory modulation. The brain literally serves as a sieve for sensory information. Relevant sensory input is allowed to pass through, while irrelevant input is ignored by the brain. A breakdown can occur at this juncture and a sensory modulation disorder arises. In effect, children can’t self-regulate themselves and display a maladaptive response to sensory input. Children will present as either under-aroused, over-aroused, and sensory seeking. So what can Occupational, Physical, and Speech Therapy do to treat sensory processing disorder ? So much! Come back to this blog to learn about sensory evaluations, treatments and tips for home and school.